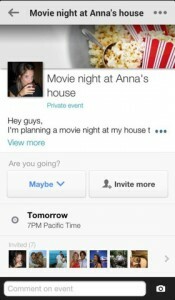 Google Plus iPhone App Review. If Facebook has become too much for you, perhaps you might not be aware that the internet search giant's efforts at making social work. It's called Google+ (Google Plus) and anyone with a Google account can have it set up in minutes. But this is not to teach you of how to set up a Google+ account. I want to introduce you to their sleek iPhone app that let's you connect with your friends, video chat and share photos on the go right from your phone. The app is free to download from the AppStore and if you have your Google account already set up, you can get started with Google+ in literally under 3 taps. 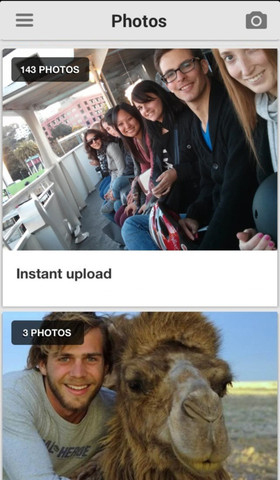 As soon as you log in, you're greeted with one nifty little feature called Instant Upload. This will automatically upload your photos and videos as you've taken them. The app will showcase the latest posts from all your circles from the get go, as the default screen. What may be a bit confusing at first is that the tabs at the bottom are all aimed at sharing new content, be it a new photo/video, a simple post or a link. In order to get to your other sections, like your Profile, Hangout or Messenger, you need to open up the sliding menu in the top left. From there, you have access to everything you need. In case you were wondering where your circles are, you can access posts just from specific circles by tapping the All Circles title at the top of your stream. The stream is beayutifully designed to bring multimedia into focus. At the bottom of each photo in the stream, you can easily tap to +1 a post, or add a comment to it, as well as see what others are saying. Through the Messenger, you'll be able to chat with friends in your Circles, and add more people as the conversation gets heated up. How about starting a Hangout with them right from the app? Sure thing! There's no doubt that Facebook is still the most popular social network worldwide. But Google+ is taking off and while we're still nowhere near a showdown between the two, Google Plus adds on a few features that may sway users its way. And the iPhone app is definitely one of these. The Google+ iPhone app is simple, elegant and features the same beautiful flat design that's becoming a trademark feature of Google's mobile and web apps. Beautiful graphics and wonderful features aside, it's all about the people and the connections. If your friends are not present on Google+, but are active on Facebook, you're less likely to give Google+ a chance. It all boils down to the people. Like Google states, the internet is for humans. With like everything else, it depends on what you want to get out of Google+. Are your friends jumping off Facebook and onto the G+ bandwagon? Then perhaps Google+ is a good fit. The social network has been heavily criticized for being a ghost town. Things may be changing. Recently, Google announced that it has 135 million active users connected to its Plus network. While that is a big number, it's nowhere close to Facebook's 1 billion. As a marketer/advertiser, you want to be present everywhere, perhaps even where your customers are not as present yet. So getting that Google+ profile, especially when it's just a few clicks away, would be worth it. But if you're looking for the same Facebook experience with none of the Facebook friends, then a ghost town is what you'll end up with. As a personal rant of mine, I think social networks are spawning left and right and I'm sorry to say that I don't have the time or the sheer will power to have an account everywhere. Often times, I make a choice between one, two or more, and, as of late, more often than not, I choose none. 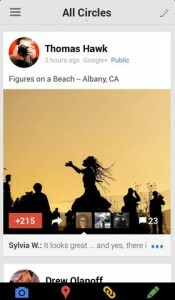 What do you think of Google Plus? Scroll down for our comment section and let us know!